Amgen, Inc.’s (AMGN) stock has been hot since the end of the third quarter, rising about 1%. 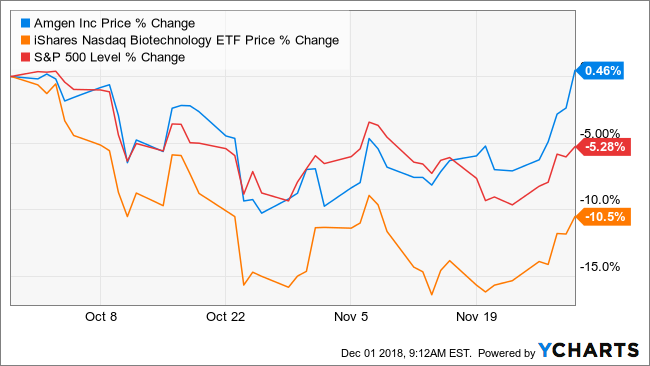 It does not sound impressive, but then again the broader S&P 500 has fallen 5% over the same time, while the iShares NASDAQ Biotechnology ETF (IBB) has fallen 11%. 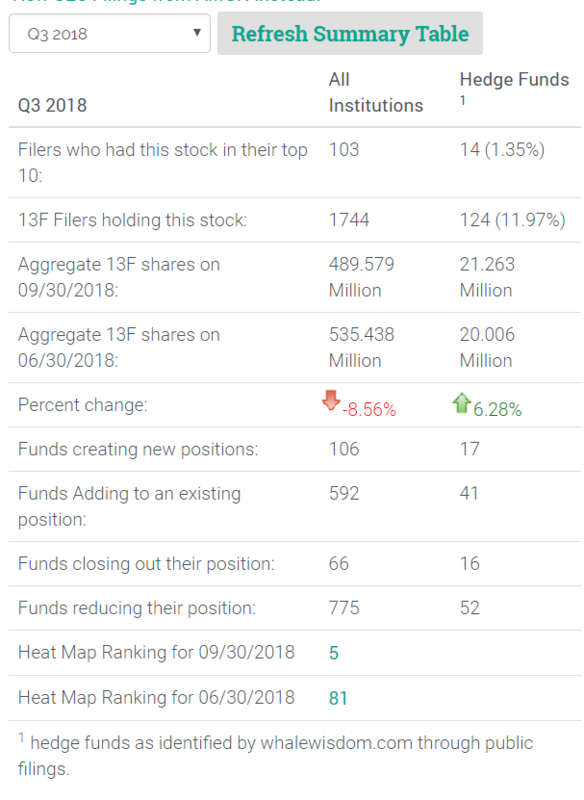 The recent rise in the stock should not be a surprise as it was one of the hottest stocks on the WhaleWisdom Heatmap among hedge funds during the third quarter. The shares of the biotech stock rocketed higher at the beginning of November after reporting earnings that topped analysts’ estimates by 8% on better than expected revenue. More good news came in the middle of November when the company presented data pointing to long-term safety and efficacy of Repatha, its drug for the reduction of bad cholesterol. During the third quarter, Amgen moved up to number 5 on the WhaleWisdom Heatmap from 81. 19 of the 150 hedge funds the Heatmap tracks hold the stock. During the quarter, 11 hedge funds increased their holdings while 6 decreased their positions. Additionally, the number of 13F shares held by all hedge funds increased 6% to 21.3 million shares. In total, 17 hedge funds created a new position in Amgen, while 41 increased their holdings. Meanwhile, 52 funds reduced their stakes and 16 exited. Despite the bullish views of the hedge funds, analysts have been reducing their forecasts for the company. 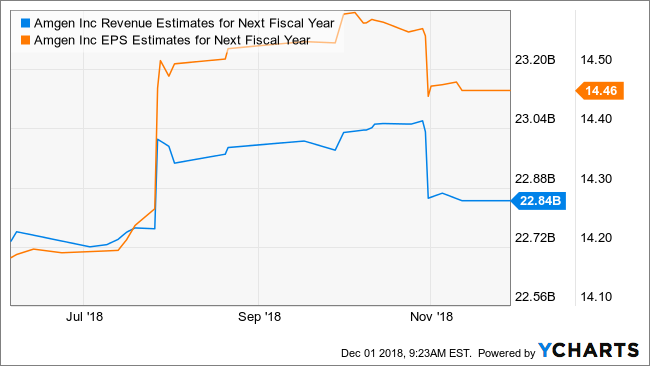 Since the middle of October, analysts have cut their 2019 earnings estimates 1% to $14.46 from $14.58 per share. Additionally, they have trimmed their revenue estimates 1% to $22.9 billion from $23.0 billion. Even more surprising is that analysts on average have a price target of $205.65, which is 1% below the current stock price of $208.25 as of November 30. Even worse, that price target is unchanged since the middle of October, which means the targets have not even risen. The funds are likely betting on events that analysts are not yet pricing into their estimates. The company and its partner, UCB Pharma S.A., face an FDA advisory committee to review its new drug Evenity for osteoporosis in January. Additionally, the company has a broad pipeline of drugs with eight currently in phase 3 clinical trials. There is always the chance these hedge funds were flocking into Amgen’s as a haven in anticipation of the broader stock market volatility. Other pharmaceutical companies such as Eli Lilly and Co. (LLY), Merck & Co. Inc. (MRK), and Pfizer Inc. (PFE) have seen their shares rise 5% since the end of the third quarter as investors seek safety. With a deep pipeline and positive news flow from the company over the past few weeks, it seems entirely possible that once again the hedge funds are one step ahead of the analysts and their forecasts. This entry was posted on Monday, December 3rd, 2018 at 8:36 am and is filed under HeatMap, Hedge Fund News. You can follow any responses to this entry through the RSS 2.0 feed. Both comments and pings are currently closed.